Law of attraction, power of thoughts,subconscious mind, spirituality: Useful knowledge of natural aromatic oils. Useful knowledge of natural aromatic oils. A scientist (he claimed he is) wore an absolute of look of scorn when I told him to try out inhaling a certain scent to relieve him from his bronchitis. Here was a man who was simply biased, rather unreasonably opinionated without bothering to check the veracity of the information. Aromatherapy is scientifically proven alternate healing technique that was passed onto us from our peers. 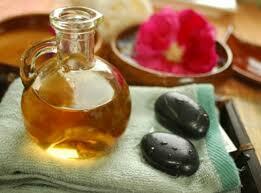 Aromatherapy in its pure form is applied in almost off the houses in India, Australia and Sri Lanka. Even this scientists must have used Vicks or any such vapor rubs to a get a temporary relief from cold or headache. Only, he conveniently did not term it as an aromatherapy. * Tea tree oil cures several bacterial infections. This is also is said to cure Bronchitis. * Lavender oil's perfume is said to create a calming effect and thus ideal for patients suffering from depression. * Chamomile is used to cure headache. 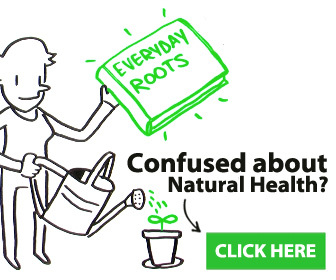 * Eucalyptus-we all know why it is used and have been depending on it for long. *Rosemary is another good plant oil whose scent can give you relief from stress and headache. I have once used an aromatic natural oil to treat tick bites! Well, there are more, much more aromatic natural oils that can be used to treat myriad maladies. magical spells really work!! I never thought there were still honest, genuine, trustworthy and very powerful spell casters until i met the spiritual helper, MERUJA OWO. last week he did a love spell for me and it worked effectively and now he just casted another healing spell for my friend who has fibroid and family problem and now she is totally free and she is presently the happiest person on earth, she keeps thanking me all day.. I just thought it would be good to tell the whole world about his good work and how genuine he is, i wasn't thinking i could get any help because of my past experiences with other fake casters who could not bring my husband back to me and they all promised heaven and earth and all they are able to do is ask for more money all the time until i met with this man. he does all spells, Love spells, money spells, lottery spells e.t.c i wish i can save every one who is in those casters trap right now because i went though hell thinking and hoping they could help me.i recommend MERUJA OWO for any kind of help you want.